I think if anyone is familiar with my work, Temper is the book that’s more widely read. It’s a book about my sister’s murder and though the poems are not narrative in nature, it seems to draw readers with a “true crime” fascination, which, given the context, can be disturbing. I’ve received some fan mail from prison (one said, in the spirit of Emily Dickinson, I write to you from solitary). When the book came out, I couldn’t even say the word “murder” and had to practice in the mirror before my interviews. Seriously creepy. So book one was a book about this big personal violence and used a lyric mode to relentlessly circle all the things that were constantly triggering me: death, death, death. Do Not Rise grew directly out of Temper. One decision I made early on in Temper was to keep the violence violent to honor the magnitude of it. I fell in love with Chris Abani’s Kalakuta Republic and the poetry of Wilfred Owen for the intensity of their depiction of violence. I found a companionship in Owen’s poems about post-traumatic stress that echoed my own experiences; Do Not Rise is really a book about violence as a recurring present-state, so the title is in part a command for all the horror to stand down, but of course, it inevitably keeps coming back anew. CEASE is an extension of that command, but I think it makes room for the idea that peace is a possible space, even if it’s only temporary. That’s a big step for me! I’ll take it. The bulk of the collection is constructed as an assortment of prose poems, bordered on either side by two extended poems, both titled “wall,” each of them composed with words and phrases loose across the page, akin to unconnected brick, its mortar a resonance of explorations on truth, connection and the body that holds the whole together. 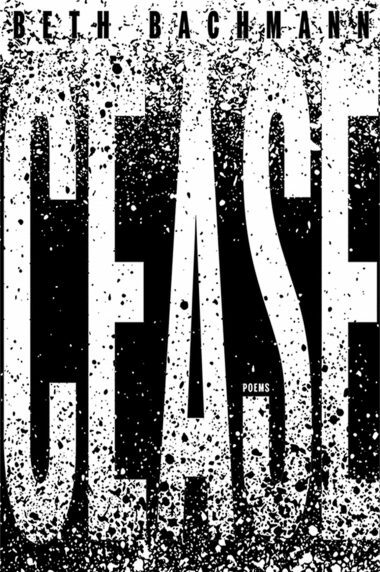 In CEASE, the poems seek and demand a simple slice of peace, however temporary, through an increasing sense of both madness and terror, asking: how do we hold ourselves together through such threats to our health, safety and well being? This is a powerful work, one that presents itself as slant, before charging full-force directly at the heart of her subject matter.